Earth as the center of the Universe, while the other used the Sun.Its Comes with middle a small brass globe. Its Beautiful used for Table Top home decoration , Office , Etc. 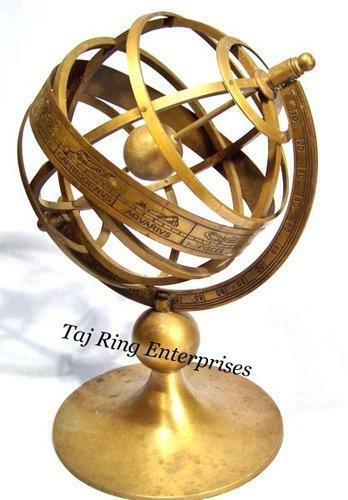 The classic beauty of this Armillary Sphere is ideal to add a touch of class to any room decor.